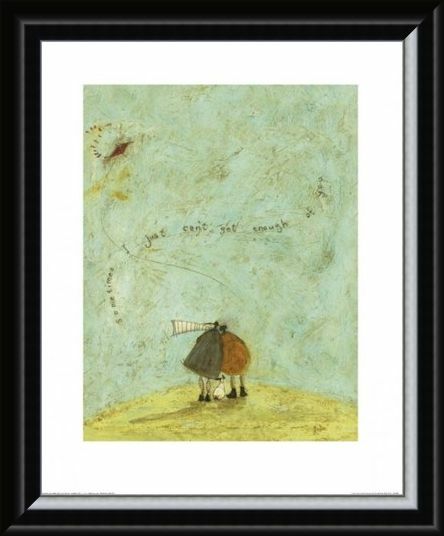 Art Print: Let your heart melt as you take in this extremely romantic scene. 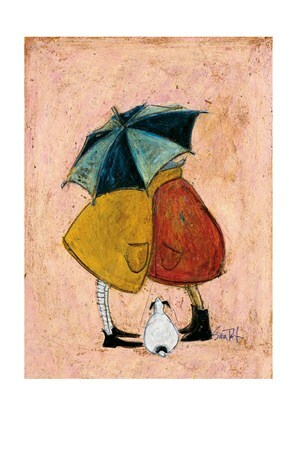 Depicted are the much-loved couple, Mr and Mrs Mustard, huddling together with Doris the dog standing between them. 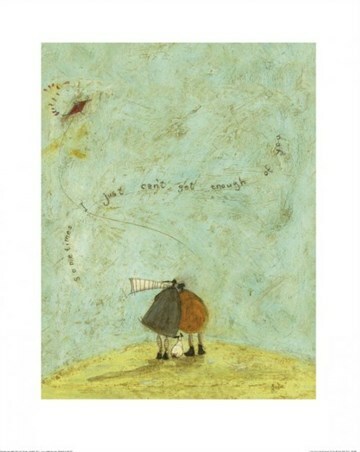 A kite flies in the sky and the beautiful words, "sometimes I just can't get enough of you", twirling in the background. 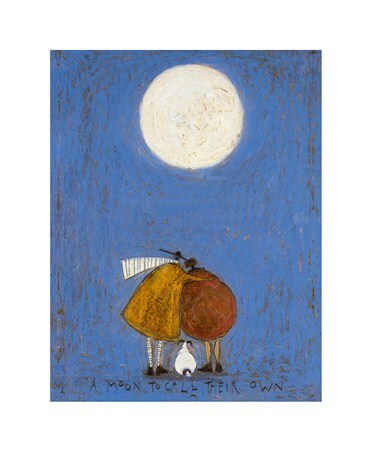 The remoteness of the landscape emphasises the emotion between these subjects. If you just cannot get enough of this print, then hang it up at home and add some charm to your surroundings. 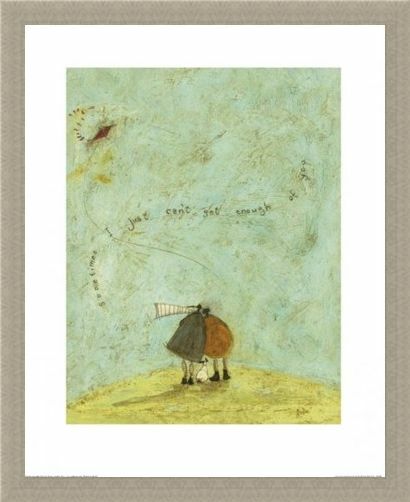 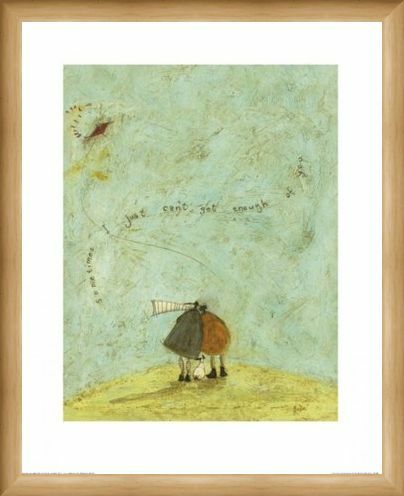 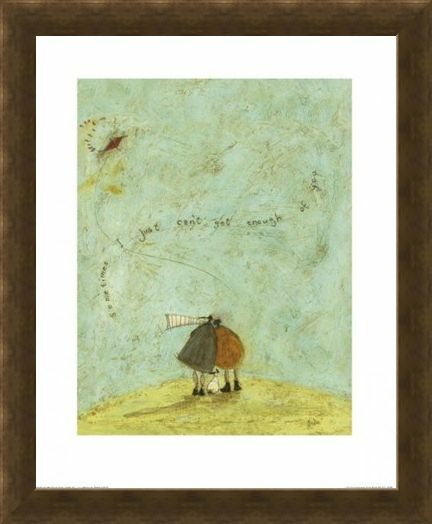 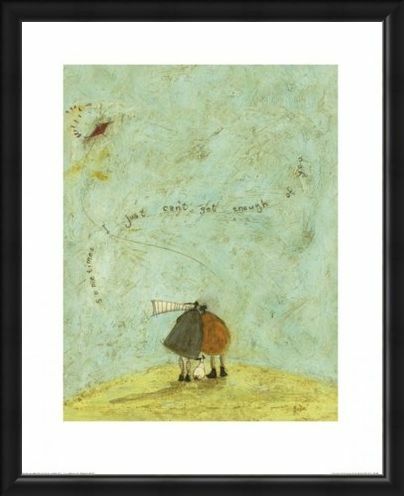 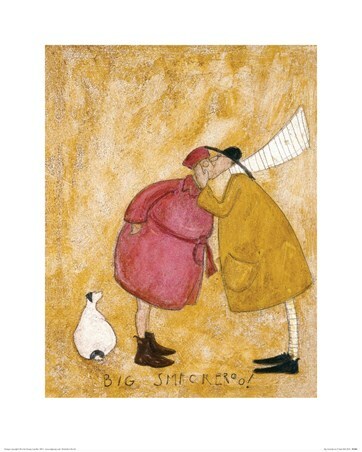 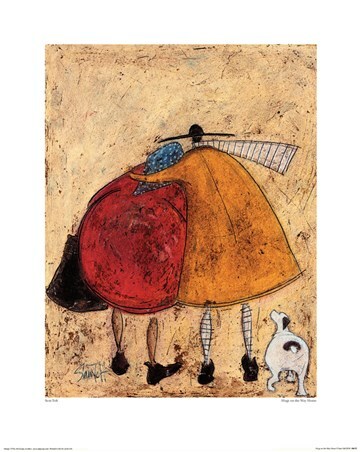 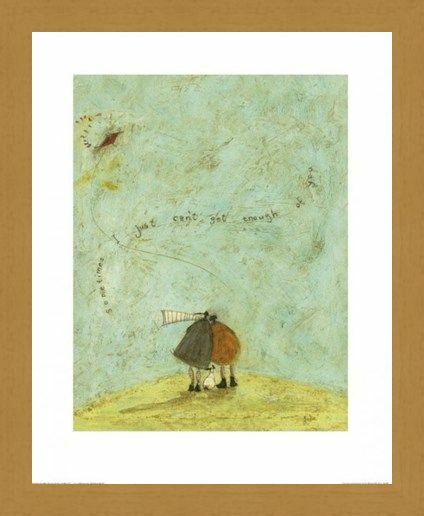 High quality, framed I Just Can't Get Enough Of You, Sam Toft print with a bespoke frame by our custom framing service.